Baruch Abittan is most known from his stunning HASC perforance at HASC 15. 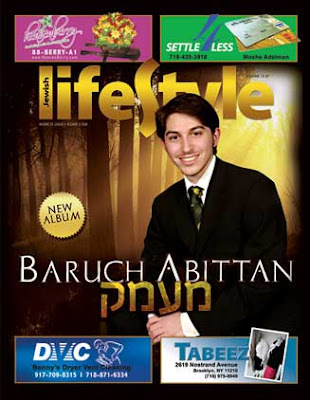 Baruch began his singing career at age nine and has been featured on CD's such as Abie Rotenberg's Journey's IV and Lev V'nefesh, as well as Andy Friedman's "Portraits of Soul", Mendy Wald, Nachum Stark and Shloime Dachs MASK trubite. Baruch has also performed in many concerts since then. Baruch has now released his debut CD. A project he has worked on with Josh Koperwas, a talented musician and friend. They have produced a new sound which will appeal to all audiences.